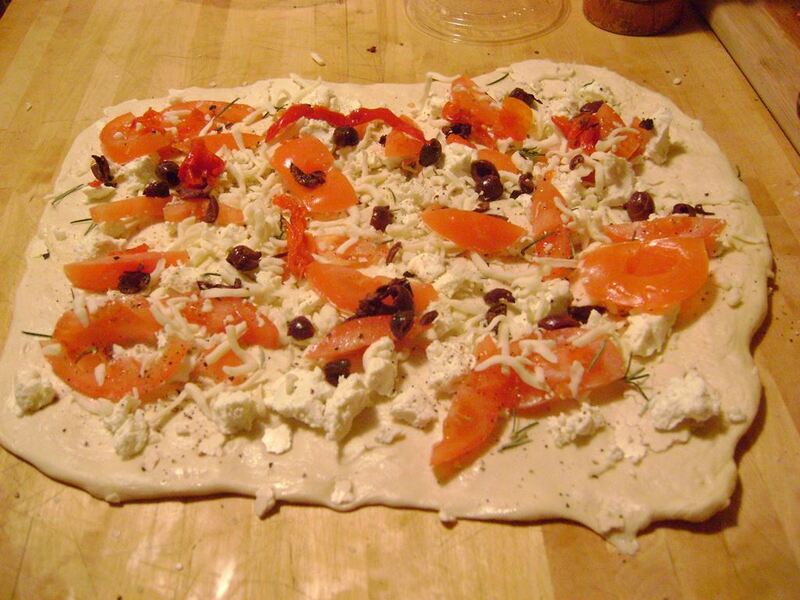 Pizza night starting to get old? Why not roll it up? 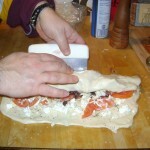 We love making strombolis (essentially rolled-up pizzas) because they’re fun to make – and it’s always a nice surprise to see what they look like when you slice them. Extra mid-winter bonus: They make great football-watching snacks. 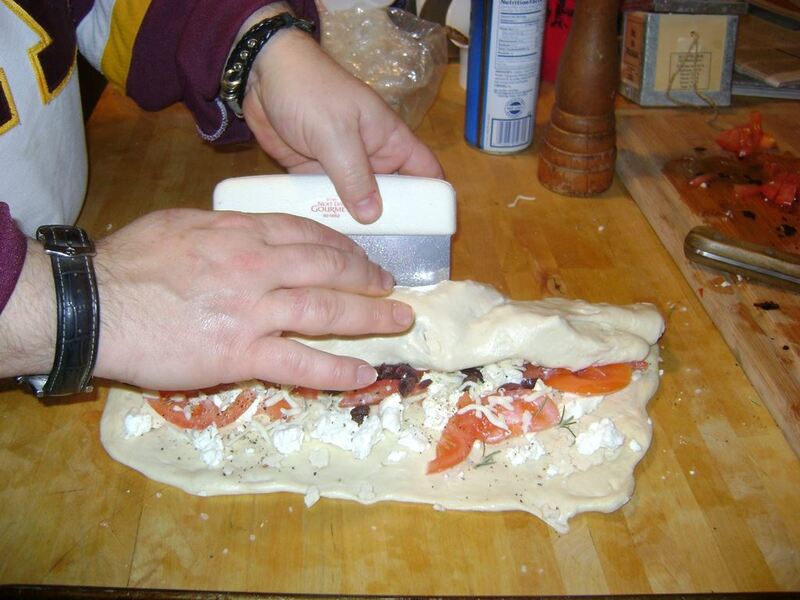 Some advice while you make your strombolis: Keep your work surface well-floured so that the dough doesn’t stick when you roll it up (here Joe used a metal scraper to help roll it up neatly). 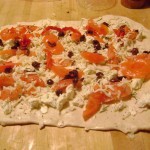 Don’t skimp on the fillings; the dough will puff up and if you don’t put in enough it will be more dough-y than filling-y. 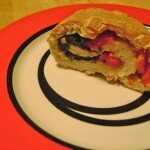 Just take it easy on vegetables that might be watery – i.e. 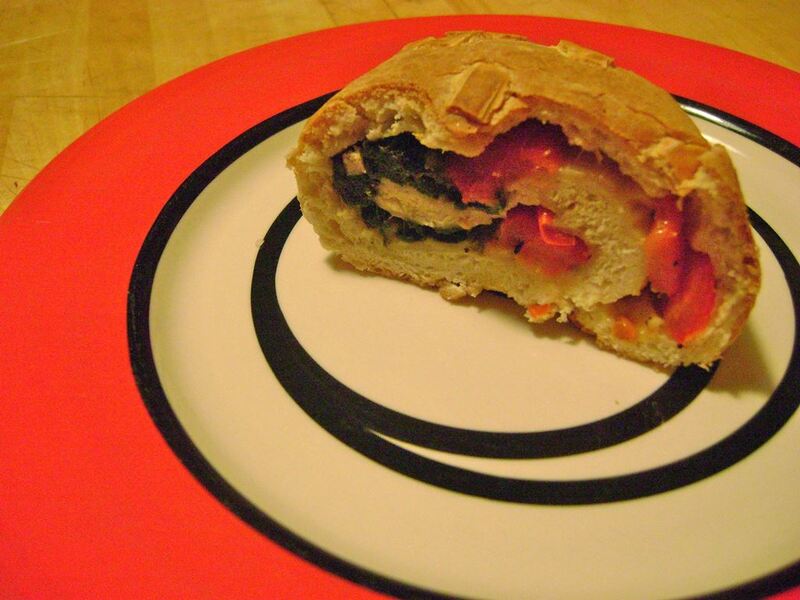 squeeze out the spinach; use raw tomatoes sparingly. 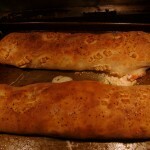 For the stromboli in this picture we used roasted red peppers, which gave it a nice bright flavor. 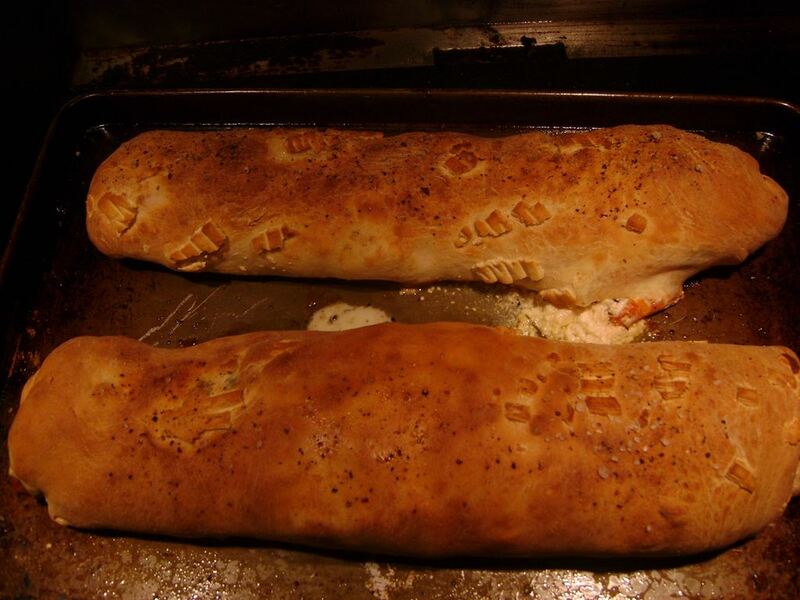 If you need some more ideas to get started, check out these other stromboli recipes from Emeril Legasse, Fabulous Foods, or Food and Wine. Now get rolling!